Filling up the gas tank can take a huge cut out of your monthly budget. Here are a few cash back apps for gas that will make driving much more affordable. The cost of gasoline is rising around the U.S. and pushing prices at the pump close to their highest level in four years, according to CBS News. Thankfully, with apps that give you cash backs gas, you can save some money at the pump. So What Are the Best Gas Cash Back Apps? These apps will give your cash rewards, savings, prizes, and even more. Check them out and see which ones will work best for you. 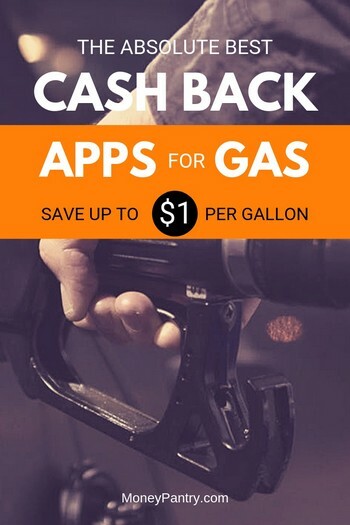 This simple app is one of the best ways to save money and get cash back on gas. You can find the best gas prices near you and earn cash just by snapping a picture of your receipt. You get $1 cashback on every gas station receipt you submit. They also give you deals on in-store items so you can save money why buying gas station snacks. Save up to 25¢ a gallon on gas and get bonus deals on convenience store items and auto services. It’s easy to use. Just open the app to see offers near you, buy the gas, and take a picture of your receipt. You’ll earn cash back that will be sent to you via either PayPal, check, or egift card. GetUpside works with major brands like Shell, Exxon, BP and more. See gas prices at 4000+ stations nearby and earn real cash back every time you fuel up. 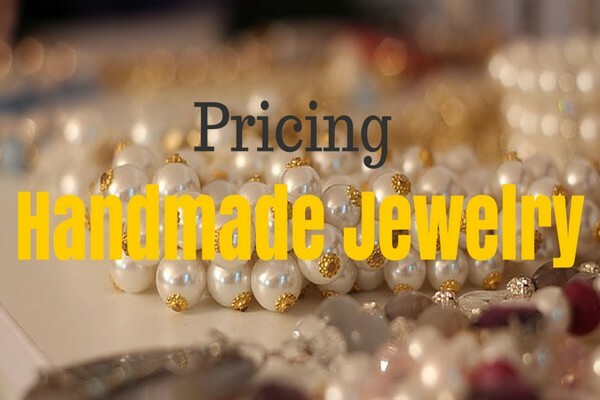 This will get you money for more than just one thing. Earn cash back on shopping, dining out, and pumping gas. All you have to do is download the app and connect your credit or debit cards. Then Dosh will monitor your purchases and searches for rebates and discounts. You get up to 10% cash back on all your purchases, including gas. Then you can transfer the money to your bank account, PayPal, or donate it to charity. Also, the app gives you $5 for every person you refer who links their card. Earn instant cashback with this app. All you have to do is link your cards, make purchases that have available deals for them, and get instant money back. It’s that easy. This app has a gas price/store locator that helps you find the best prices while you are on the go. Speedy Rewards members get points, free items, and sweepstake prizes every month. You can get points for every purchase you make which can be redeemed for rewards and gift cards. It’s not exactly cash back, but you can still use that gift card to buy your groceries or even more gas. This popular app is easy to use and can turn your receipts into cash and other cool rewards. It is one of the best apps that pay you to scan your receipts. All you have to do is take a picture of your receipt to get cash back! If you want to know more about this app, check out our full review here. Murphy Drive Rewards is a great app for getting savings on the road. Earn rewards and cash for fuel by using the Exxon app. All you have to do is link your debit or credit card and then you are set. Every time you purchase gas, you’ll earn points. You can redeem all kinds of rewards which can be redeemed in the app, including gift cards. Did you know you can save a ton of money simply by buying from Shell? Their app actually gives your rewards every time you fill-up! They also have a fast checkout for members using either a 3-digit pin code or scannable QR code. The Fuel Rewards Network, FRN, is a free loyalty program for Shell. You can save money at over 11,000 stations nationwide. Rewards are cumulative and there’s no limit to how much you can save. You’ll save at a minimum of 5¢ per gallon at any participating Shell station. For every $50 you spend, you also earn 10 cents for dining, 5 cents for shopping, and 5 cents for traveling. All of this adds up to a lot of money, especially if you travel a lot. Read my review of Shell Fuel Rewards for more info. I’m putting this at the bottom of the list because I’d like to clarify that this app isn’t exactly a cash back shopping app. Instead of getting money back from your purchases, it automatically applies your discount to your purchase. Users of this app can save around $340 a year of gas. For more details and tips on how to save the most money with it, read my review of GasBuddy app. Most of us don’t just stop at the gas station to fill up our cars. We also go in to buy soda, coffee, lottery tickets and snacks. In fact, I’d venture to say, most of us spend more on stuff we buy inside the station than at the pump. So it would make sense to try to save money on everything we buy at the local gas station vs just gas. 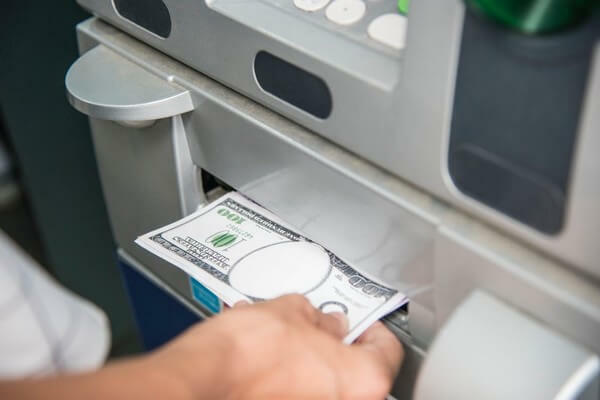 While there are many ways to save money at the gas station, one of the easiest and most overlooked ways is gas station rewards programs. Like most other types of stores that offer rewards programs, most gas stations also have some sort of reward program that rewards you for every dollar you spend, be it on gas, soda, coffee, or snacks. All of them are free to join and it only takes a few seconds to sign up. It should be a no brainer. We have a full post with a big list of some of the best gas station rewards programs. Be sure to check it out and sign up for some of them. Hopefully, with the apps above, you can start saving tons of money on your gas purchases. It might also be worth it to download multiple of them, so you can even more extra savings off one receipt. Are there any apps you use to get cash back on gas? Let us and our readers know about them in the comments below!